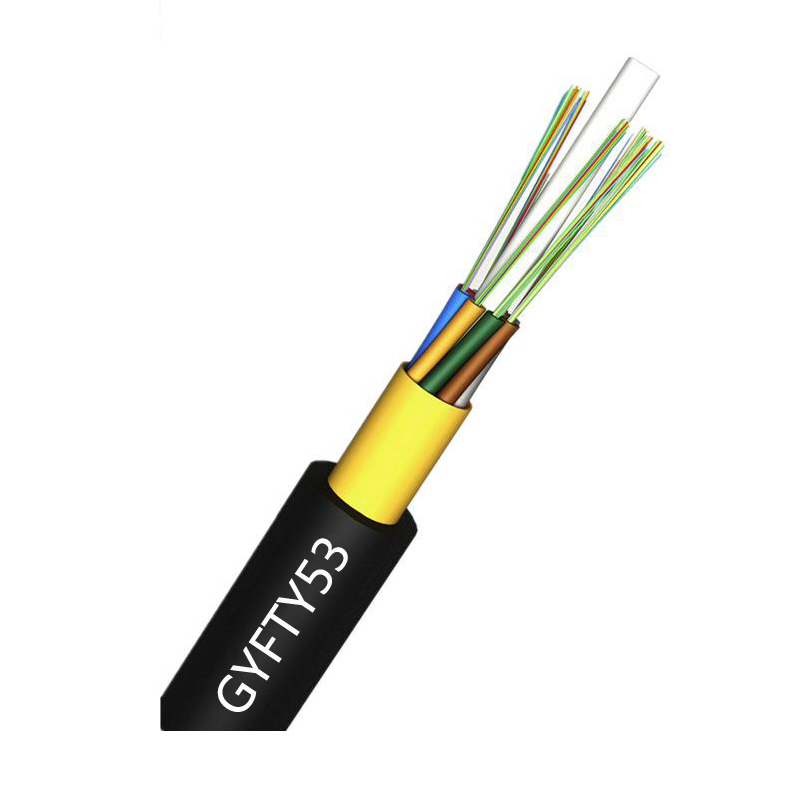 GYFTY53 Fiber Optic Cable, the fibers, 125?m, are positioned in a loose tube made of a high modulus plastic. The tubes are filled with a water-resistant filling compound. A Fiber Reinforced Plastic (FRP) locates in the center of core as a non-metallic strength member. The tubes (and fillers) are stranded around the strength member into a compact and circular core. Then the cable core is covered with a thin polyethylene (PE) inner sheath, which is filled with jelly to protect it from water ingress. A layer of water-blocking material is applied around the cable core to prevent water ingress all the same. After a corrugated steel tape armor is applied. The cable is completed with a PE outer sheath.